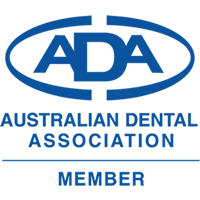 Mark has represented his profession in the highly regarded position of ADA VB President and is a consultant in his field, yet he is consistent, approachable and has the highest regard for his patients wellbeing. We pride ourselves with providing a friendly relaxed atmosphere. We offer family oriented practice to assist all ages with advice and care. Our commitment is to care for you with the highest quality dental care delivered with a comfortable, personalised and gentle manner. To offer advice and conservative treatment options in all aspects of dentistry, achieving quality service in a caring and comfortable environment.